That’s my next destination. 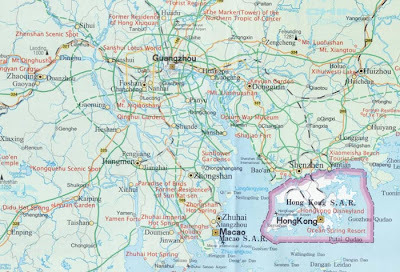 Canton, land of green, the Five-Goat City, the City of Spike, the City of Flowers… With a milder weather and greener landscapes, it will surely be better for my aging, and if not, Hong Kong is just 90 minutes away, and the Philippines’ scuba diving paradise is a stone’s throw. I have been appointed Head of Sales for Asia for a leading Spanish kitchen and decoration furniture group, with open business in India, China, Australia, Vietnam and Thailand, and my task will be to follow up those deals, and open new ones in markets such as Indonesia, Malaysia, the Philippines… Challenging but immensely fulfilling task, to which I will endeavor all my time, less that spent with my kids. Farewell Spanish association, au revoir Shanghai Darts League, goodbye Kangaroo, adios amigos! PS. I am not arranging a proper farewell party, since the family will remain in Shanghai for the first month or so while I find a house and so on, but to those who would like to say goodbye, I am easy to find: next Tuesday, @ Kangaroo Bar (Yongjia Lu 35, near Maoming Nan lu – metro Shaanxi Nan lu). From 19:30 onwards. Ese es mi próximo destino. 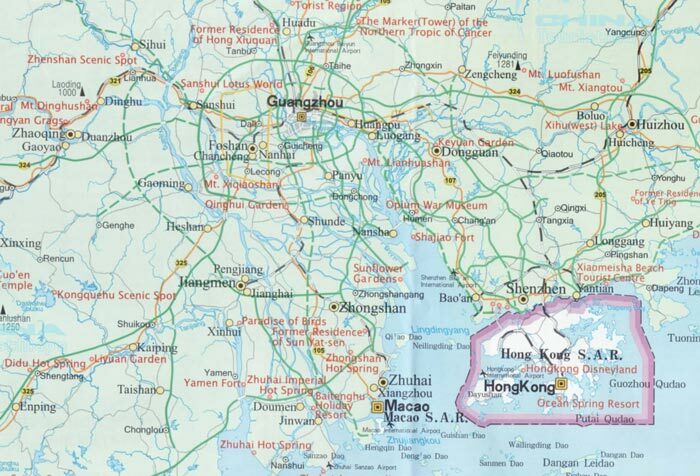 Canton, la tierra verde, la Ciudad de las Cinco Cabras, la Ciudad de las Espigas de Arroz, la Ciudad de las Flores ... Con un clima más suave y paisajes más verdes, sin duda será más benigna para mi edad, y si no, Hong Kong está a sólo 90 minutos de distancia , y el paraíso de buceo filipino a un tiro de piedra. He sido contratado como Director de Ventas para Asia para un grupo español líder en muebles de cocina y decoración, con negocios en la India, China, Australia, Vietnam y Tailandia, y mi tarea será dar seguimiento a estos acuerdos, y abrir nuevos mercados como Indonesia, Malasia, Filipinas ... tarea difícil pero fascinante, a la que dedicaré todo mi tiempo, menos el que pase con mis hijos. Goodbye Casa de España, au revoir Shanghai Darts League, adieu Kangaroo, Adiós Amigos! PS. No voy a organizar fiesta de despedida, ya que la familia se queda en Shanghai durante el primer mes mientras encuentro casa etc, pero para aquellos que queráis despediros, soy fácil de encontrar: el próximo martes, @ Kangaroo Bar (Yongjia Lu 35, cerca de Maoming Nan Lu - metro Shaanxi Nan Lu). A partir de las 19:30.